We Design and manufacture Turbine Blowers, Root Blowers, Twin Lobe Blowers, Air and water cooled roots blowers. These blowers are used for agitation of Electroplating Chemicals, Effluent Water Treatment plan, Cement and Paper Plant, Oil & Gas, Electroplating, Power Generation. 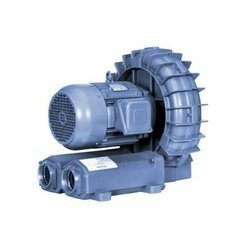 We make all type of blowers with motors as per customer requirement in all capacity and Pressure. 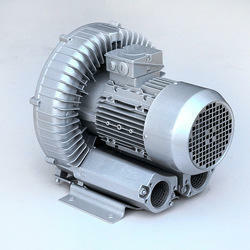 We are dealing with Turbine Type Air Blowers and our product is made up of good quality. - Straightforward design, with no fine internal clearances or wearing parts requiring lubrication. - Air delivery is free from oil, vapour, moisture and other contamination. - Air is also completely uniform and free from pulsation. Acknowledged amid one of the leading names, we are readily involved in the business of presenting a world class Air Turbine Blowers. We bring forth vast industrial experience and expertise in this business, involved in offering a high-quality range of Turbine Air Blower. Supported by a group of capable employees, our firm is involved in providing Turbine Air Blower. Our rich industry experience in this field enabled us to provide a wide range of Air Turbine Blower to our reputed clients at reasonable prices. We are instrumental in providing to our valuable customers excellent quality of Air Turbine Blower. It is made from very high quality raw material which ensures hassle free work performance at its user end. Widely finds its applications in various industrial sectors.